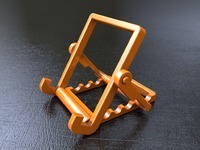 iPhone 6 Dock (4.7") by emadshaabani is licensed under the Creative Commons - Attribution - Share Alike license. 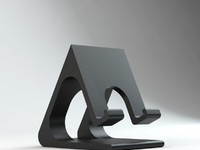 This iPhone 6 dock was made by me in SolidWorks 2013. Don't forget to download both the dock and the guide hole lid to put in place after installing the Apple Lightning Cable. You get the best printing result if you print the dock standing side up. 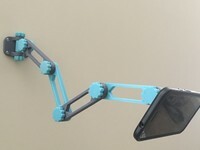 Say thanks by giving emadshaabani a tip and help them continue to share amazing Things with the Thingiverse community. We're sure emadshaabani would love a Tip, but unfortunately they have not setup their accounts to receive them yet.